We all get a little nervous when we try new things. Maybe we won't like it, or maybe we won't be good at it, or maybe something will go wrong. It's pretty common to have fears like that. Well, turns out, horses aren't so different from us. When they have to try new things, they get a little scared too! 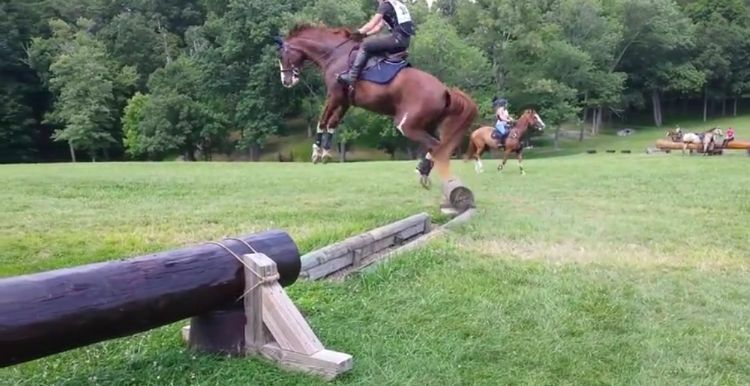 Especially this adorable 4-year-old horse. He's got a pretty big challenge: jumping over that foot-tall barrier. You can see him hesitating and feeling it out. We don't blame him! He's likely training for show-jumping, which as The Horse Riding Site explains takes a lot more athleticism and precision than you'd expect. 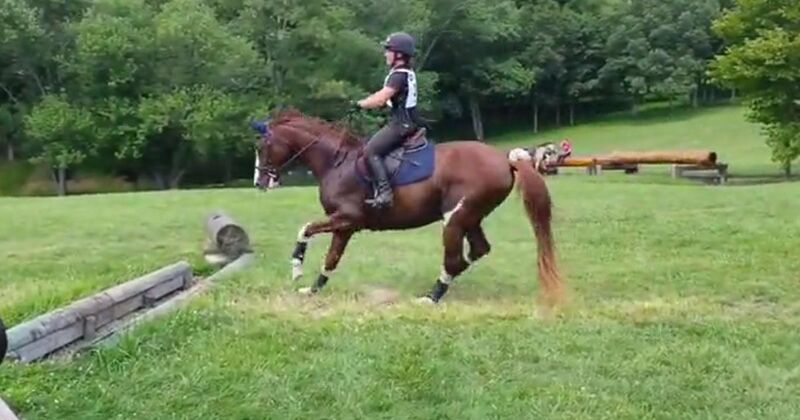 It can be scary for the horse to learn to jump at first. 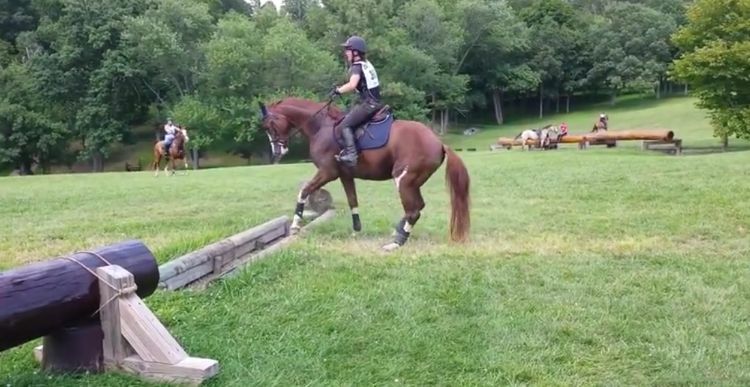 Young Rider recommends starting slow, with maybe just a few poles on the ground and working your way up from there. You could say he goes a little overboard. We're so glad they caught it on camera! The picture doesn't do it justice, so go watch the video to see the adorable lead-up and hilarious conclusion to this wild journey. And don't forget to share this with your family and friends that want a giggle! And maybe a reminder that it's okay to try new things (and look a little silly doing it). It's all part of life.